Following an increasing interest for our gondola mover in Finland, we’ve granted the distribution of FOURMI to NC-product Ltd. If you are interested in distributing FOURMI in your country, please contact us. FOURMI® The essential tool for your store remodeling. Our unique gondola moving system can move display racks, checkout counters, gondola units and other shelving systems in record time. 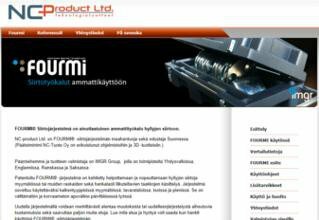 Our FOURMI Gondola Mover is now available in Finland.